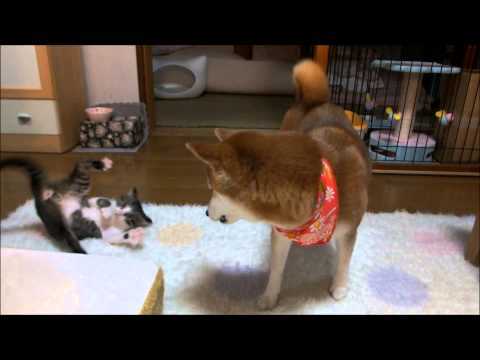 There are 3 cat videos tagged with shiba-inu. 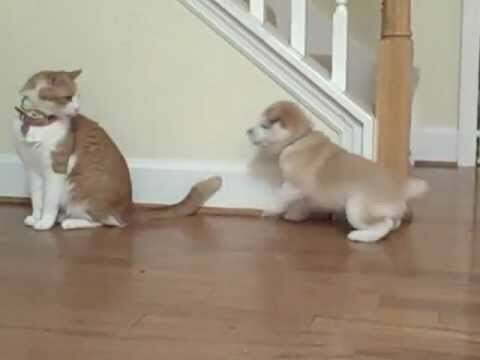 Hikari the Shiba Inu and Milky the kitten meet for the first time! 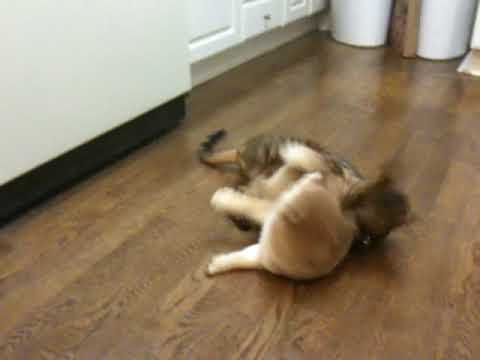 A Bengal cat and a Shiba Inu puppy play with each other. The kitty is super tolerant of the dog and the owners are working with him to cut out the snapping.